There are two UAlbany Great Dane mascots. Damien is the serious dog, feisty, serious and intense, while Lil’ D is the kinder, gentler, goofier and sweeter baby Great Dane dog. 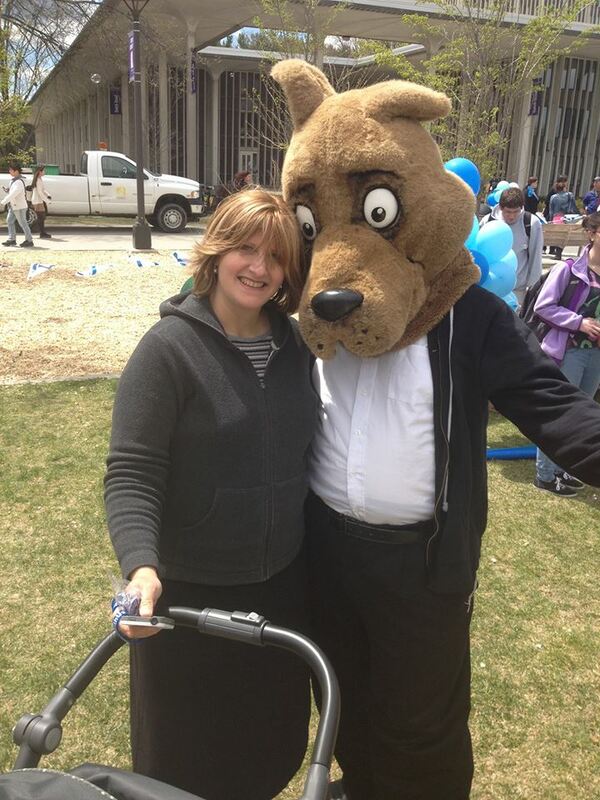 This year at UAlbany Hillel’s Israel Fest I (Mendel) had opportunity to try on Lil’ D’s head. This picture of me in Lil’ D next to Raizy garnered quite a few likes on Facebook, so I thought I ought to learn and share a life lesson from it. It’s actually quite hard to see out of Little ‘D because you see out of his open mouth, but the way the big head is designed it tilts downward, so you can’t see out unless you lift the head up significantly. And therein lies the message! You can’t look forward in life if your head is down. We have to look UP to see ahead!